I’ve always been a fan of the Corvette. Growing up, my father owned a few. There were Corvette hats, Corvette shirts, and even a few Corvette trophies. So last year, when Chevrolet announced that they were unveiling the C7 Singray at an invite-only event, I tuned into the live stream just like every other fan. As we prepared to attend the NAIAS this year, news broke that the C7 Z06 was set to debut during Chevrolet’s press conference. I was determined to get a seat and welcome the new model firsthand. As we waited for the 10:00 press conference, a live stream was being broadcast for the audience. A caravan of C7’s, all piloted by Chevrolet engineers responsible for the new Z06, was escorting the new Z06 to the Cobo Center. At the front of the line, between two C7 Corvette pace cars, was a Chevy Silverado towing the camouflaged Z06. Of course this was a poignant moment for Chevrolet, having swept the North American Car of the Year and Truck of the Year awards with the Corvette and Silverado only a few hours ago. Seeing all those shining new Corvettes parade through the downtrodden suburbs of Detroit was an odd sight. It was the pinnacle of GM’s modern achievements contrasted against the backdrop of the American recession. It goes to show that there is some spark of life left in Detroit, even if the bus ride to the Cobo Center that morning tried to prove otherwise. 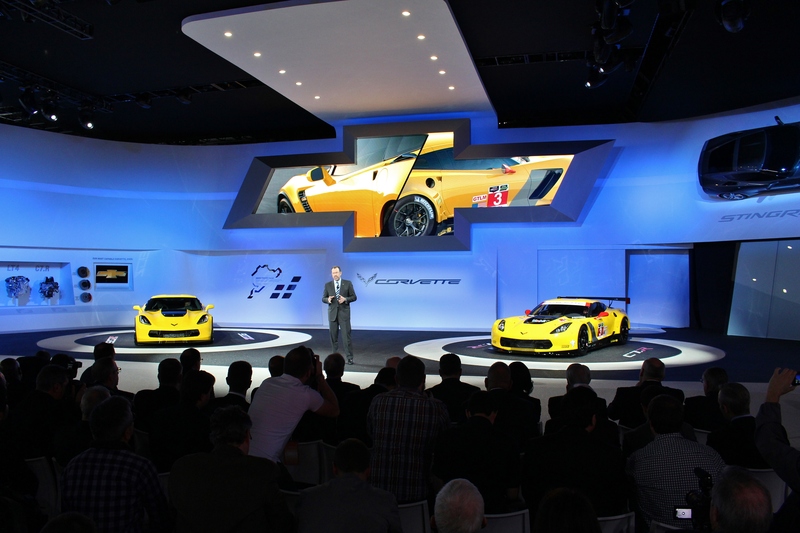 At 10:00AM, Mark Reuss announced “The Big Nasty” as the Z06 drove onto the stage and out of its camouflage. Touting all new bodywork, unbelievable power, and enhanced downforce with the optional Z07 package, the Z06 really put the entire world on notice. 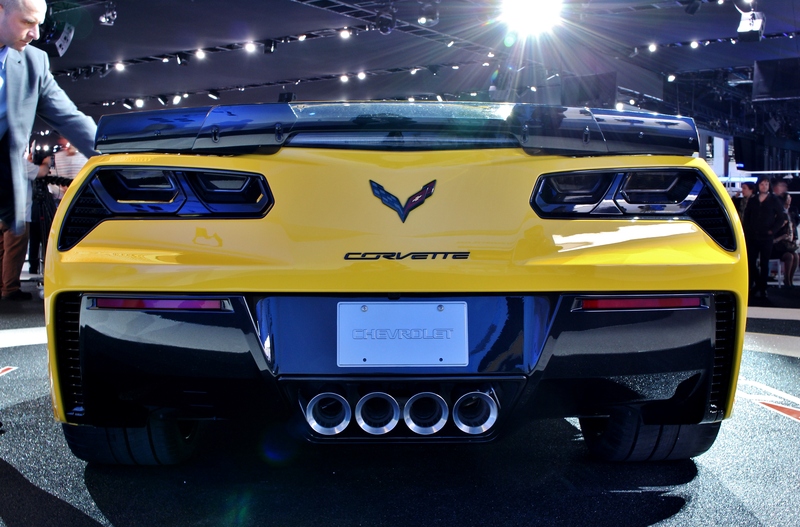 The C7 proved to be a solid new foundation on which to build a more powerful and more performance-focused Z06. However, the new Z06 will be the car that takes the fight to the world, on the world stage. Things look good. 625 horsepower is some serious power, and the torque figure is even higher. I spent a lot of time at the Corvette booth looking over the Z06 in its yellow paint (I hope it’s called Velocity Yellow) with a totally new take on the interior built on the massive improvements of the C7. My father’s last Corvette was a 2001 Z06, the C5 generation. That was a car in which we had fun, but it certainly did not have the interior of this new car. The seats appear to be straight out of a Recaro factory (they may be), and they look and feel great. The wheels are a nice hat-tip to the previous generation ZR1 with a similar multispoke look. However, those wheels are wrapped in super-sticky Michelin Pilot Sport Cup 2 tires and surround massive carbon-ceramic brakes, optional on the Z07 package. The biggest news, though, is the addition of another transmission. For the first time ever on a Z06, there is an automatic option. Chevrolet announced a GM-built 8-speed automatic. Purists, and those uncomfortable with change, will still have the option to row their own gears. A 7-speed manual is still an option. Also new on the C7 Z06 is an optional carbon fiber removable roof panel. An open-air Z06 is unheard of and many die-hard fans might feel offended. Again, what was the C6 Corvette 427 Roadster but a Z06 convertible in disguise. The Z06 is certainly shaping up to be a car to be reckoned with on both road and track, but that was not the only Corvette making waves in Detroit this year. 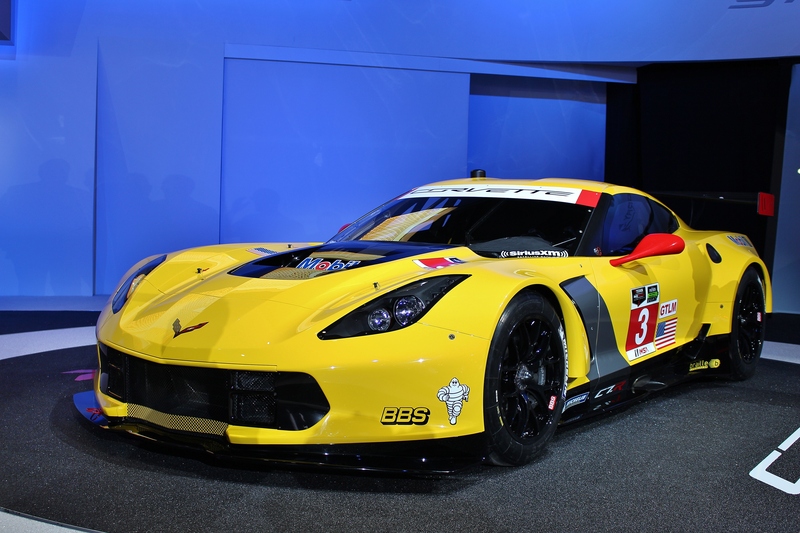 With a deafening V8 roar, Chevrolet debuted the C7.R. With a rich and successful racing history, a racing version was to be expected. 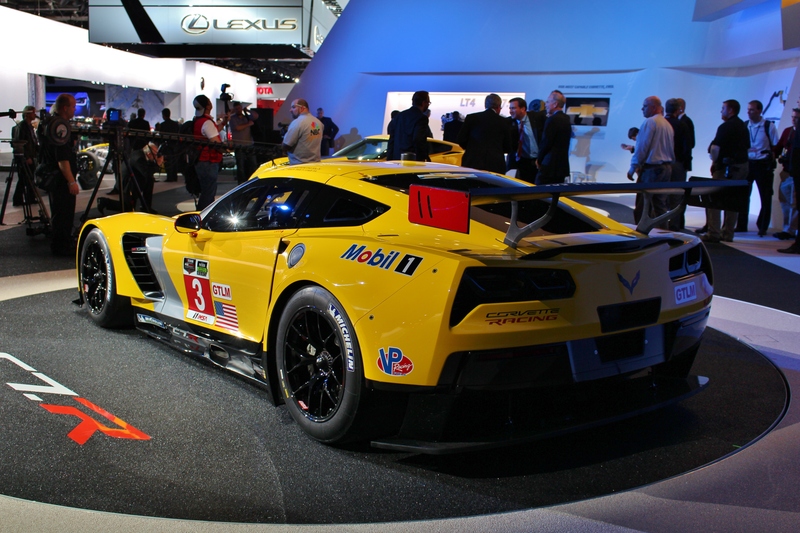 What makes the C7.R special is that it was co-developed alongside its road car counterpart from their inception. That means much of the technology that Corvette Racing will be relying on to win is also baked into the new C7 Z06. The C7.R will be competing in the new Tudor United Sports Car Championship. Look for its racing debut at the Rolex 24 Hours of Daytona on January 25th. 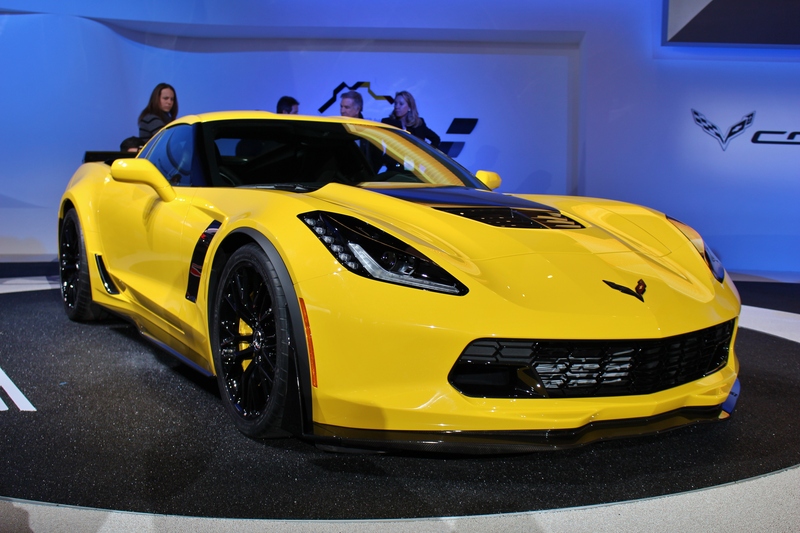 The 2015 Chevrolet Corvette Z06 made the #1 spot of our 5 Best list from this year’s show. It is a car that will inspire a new generation of American enthusiasts. They can grow up, like I did, watching Corvette Racing battle for victory with the C7.R on circuits around the country. The next day, they can be admiring a C7 at a local car show. If they’re lucky enough, like I was, they may even grow up with a Corvette in the garage. The C7 Z06 has made an impact on the Limited Slip Blog team. It shot its way to the top of the American “must drive” list. As for my father? He was at home watching the the debut with the rest of the world. But I think he was more excited than most.